Mum of Five Staying Sane: Coming in 2015, the Bugaboo Runner 3 wheeler jogger to use with your existing Bugaboo Cameleon, Donkey, Buffalo and Bee seat units or can be purchased as a complete pushchair. Coming in 2015, the Bugaboo Runner 3 wheeler jogger to use with your existing Bugaboo Cameleon, Donkey, Buffalo and Bee seat units or can be purchased as a complete pushchair. 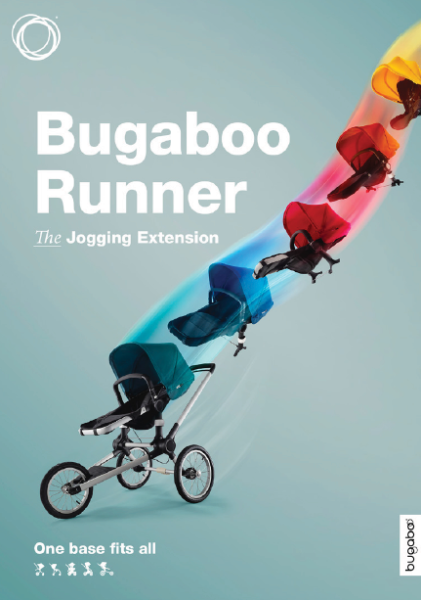 Arriving in 2015 is the new Bugaboo Runner. It is a three wheeler, fixed wheel pushchair chassis suitable for jogging. You buy the chassis to use with your existing Bugaboo seat unit. Yes, it will fit any of the already existing Bugaboo Cameleon, Donkey, Buffalo and Bee seat units. 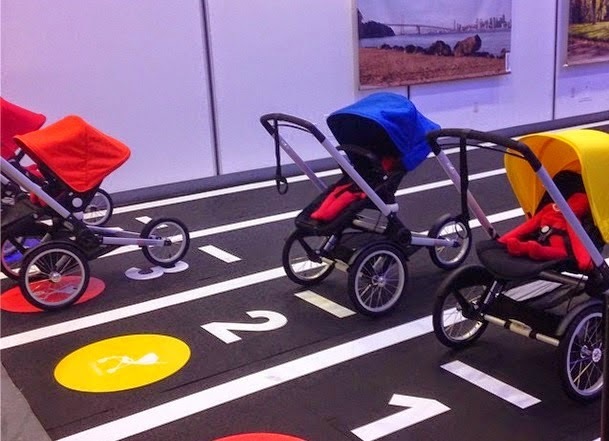 They are able to sit forward or rearward facing on the chassis and is an ideal investment if you are wanting to jog with your little ones in a pram. 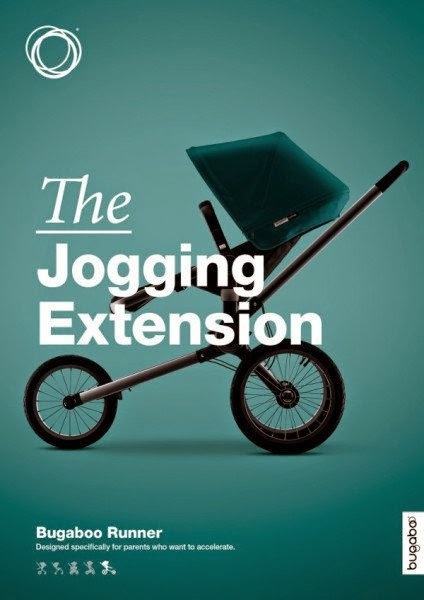 It can also be bought as a complete jogging pram system but the option to buy the chassis only if you already have a Bugaboo pram is a really fab idea and gives you the flexibility to choose between your existing Bugaboo chassis or the Runner option. It's large 16 inch back wheels and 14 inch front wheel along with it's sleek frame makes it just as sturdy as a Bugaboo pram should be with the excellent option of being able to use it to jog with, which isn't recommended with other prams. 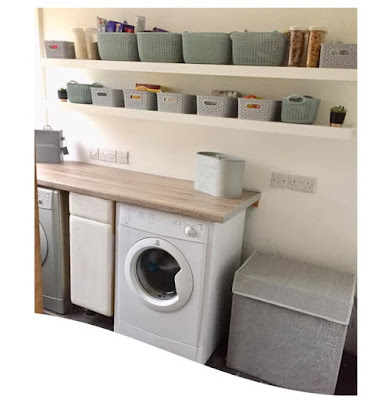 It also has a handbrake and footbrake which is fab for extra safety and reassurance if you are either running or just using it as a walking pram and as always has a generous sized underseat basket. Bugaboo are anticipating to launch the Bugaboo Jogger around Autumn 2015 in Europe, more details will be released by Bugaboo nearer to the time. Keep an eye on the Bugaboo website for more details. NEWS UPDATE IS THAT BUGABOO NOW ANTICIPATE A SUMMER 2015 RELEASE DATE IN EUROPE FOR THE BUGABOO JOGGER WITH A PRICE OF AROUND £400 FOR THE FRAME OR £700+ FOR THE FRAME AND SEAT UNIT.